A tragedy is being exploited for a fresh slur against the Tea Party. Almost instantaneously the horrific shooting in Tucson, Ariz., became the occasion for partisan hatred. It’s one thing to charge your opponents with increasing the debt or serving the interests of the rich; it’s quite another to say they are accomplices to mass murder. In the ostensible (and always worthy) cause of civility, prominent liberals rushed to blame conservatives, and especially Sarah Palin, for the mayhem in Tucson. #ad#Palin’s offense was posting a map on Facebook with a bull’s-eye marking the districts of 20 Democrats she wished to see defeated. On the list was Rep. Gabrielle Giffords, the target of Tucson shooter Jared Loughner. To connect Palin’s map to Loughner’s criminal act requires a massive leap that her detractors executed with ease, since they feel they have warrant to say anything about her without regard to evidence, logic, or — ahem — civility. Palin’s martial imagery wasn’t just innocuous, it was a tattered cliché. American politics runs on metaphors drawn from war, and has at least since the 19th century. What journalist didn’t write about “targeted” districts or candidates in the last midterm election? Why do we say “campaign” and “rank and file,” or refer to “battles” and “war rooms”? None of this has ever before been taken as an incitement to violence. Then again, never before was it a club with which to bludgeon the hated Sarah Palin, while nattering on about how our politics should be less venomous. All indications are that Loughner is a pitiable, sick young man whose rampage defies reason. He is anti-government the way schizophrenics who believe the government is controlling their minds are anti-government — think of the pre-treatment John Nash of A Beautiful Mind, not the Milton Friedman of Free to Choose. You could rummage through the detritus of his diseased mind and, with enough ingenuity and malice, use it to discredit any number of causes. Was postmodernism responsible for his obsession with how the rules of language determine thought? Is monetarism to blame for his mad obsession with currency? Should secularists begin soul-searching, given his militant atheism? All of these connections have as much plausibility as the notion that he took deadly marching orders from a Sarah Palin Facebook posting (which there’s no evidence he ever saw). Loughner’s profile fits that of the Virginia Tech shooter — a disturbed individual whose strange behavior frightened his classmates and his friends. The chances are his case will be another in the sad annals of the untreated mentally ill doing harm to themselves and others. Except ghoulish political opportunists have latched on to this crime. The political use of Tucson is the latest blast against a Tea Party that the Left will never consider legitimate. First it was astroturf, then it was racist, now it is murderous. It’s hard to see what could be next in this progression. Perhaps Palin really intended her targeted congressional districts to be wiped out in their entirety in an act of genocide? By calling conservative rhetoric “eliminationist,” the Left is already on the cusp of this escalation. It is a time for deep breaths all around. The Tucson shooter shattered lives and, in targeting a public official, attacked our democracy. The stories of the victims are unbearably sad, and of those of the heroes unbelievably inspiring. In its horror — another mass shooting — and in its uplift — the pluck of the grievously wounded Giffords, the miracles of modern medicine, the kindness and courage of strangers — it’s an event that should be larger than tawdry partisanship and unsupported finger-pointing. Our new era of civility is off to a rocky start. 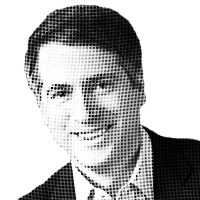 — Rich Lowry is editor of National Review. He can be reached via e-mail, comments.lowry@nationalreview.com. © 2010 by King Features Syndicate.